Written by Miguel de la Fuente Lau on May 4, 2018 . Over the past couple months, we’ve heard many of our clients pour out their fears and concerns over their future. 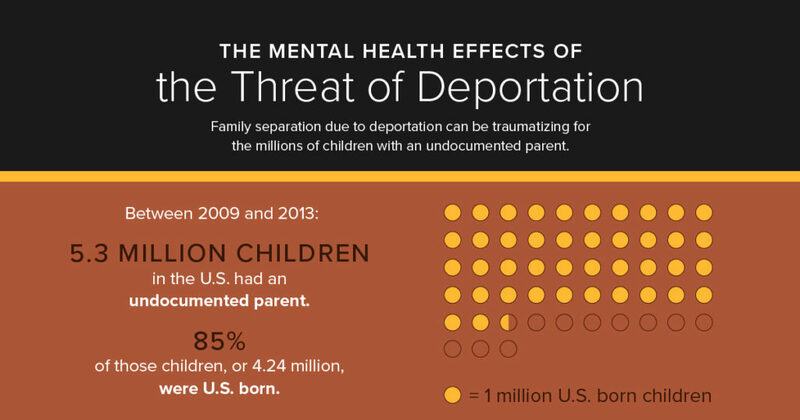 The threat of deportation looms large for so many immigrant families, causing real anxiety and stress not only on parents, but their children. 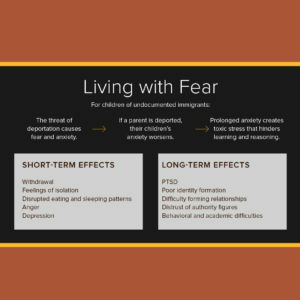 A new research article released by the University of Southern California’s Suzanne Dworak-Peck School of Social Work, “Facing the Fear of Deportation“, visually captures the traumatic impact this has on families. In today’s political climate, undocumented immigrant communities feel targeted and vulnerable, afraid that their families will get torn apart. The stress and anxiety this creates for the children of immigrants is especially high. As we detailed in our series of posts unpacking data we collected on our DACA clients, the burden is already great for many families who are worried about meeting basic, daily financial needs. But for many immigrant parents, getting mental health support for their children can be equally challenging. The search to receive the right kind of mental health services might only increase the feeling of stress and anxiety for the entire family. We’re doing what we can at MAF to ensure that families have the potential for financial health and stability by creating access to financial products and services. 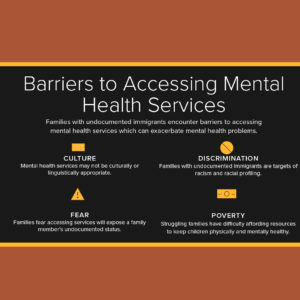 But we need to keep building a broad base of partnerships so there are no barriers for immigrant families in receiving support from community-based organizations and agencies with the capacity to provide critical mental health services. *All infographics created and published by the online MSW program at the University of Southern California.